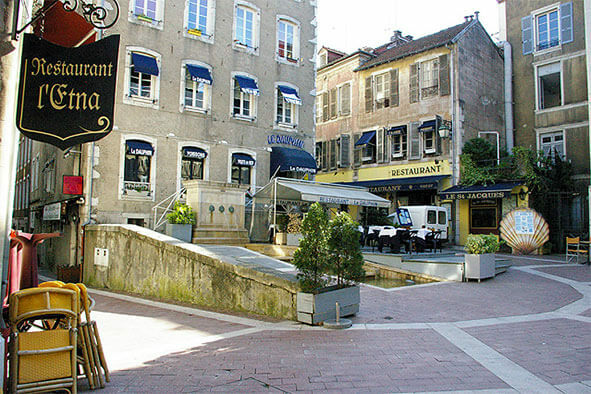 This exciting new program led by Professor Pett offers Rollins students the opportunity to study business and business culture in France while earning eight credits and collaborating with French University students. Students will engage with French University students in class, on group projects, and during free time. Network and complete two (2) academic Rollins classes with French students in a unique educational setting. Interact with French entrepreneurs of small- and medium-sized enterprises (SMEs) as they manage their businesses towards becoming high performance organizations (HPO). Gain a greater appreciation for the role of the entrepreneur as a business and civic leader as well as a community leader with a global social impact. Participate in cultural excursions and company visits throughout areas surrounding southern France, such as Bordeaux, Biarritz, Pyrenees Mountains, Sanctuary of Lourdes, and San Sebastian, Spain. Advising is offered on a walk-in basis: Tuesday-Thursday from 12pm - 2PM during the normal semester. If you are unable to make it at these times, email, call or stop by to set up an appointment. Students will book their own flights to France and travel to Pau independently. Upon arrival, students will check into their rooms and begin an orientation that covers student services and other logistics. The second day of orientation includes a welcome ceremony, a program-specific orientation, plus a tour of downtown Pau and a visit to a nearby castle! This program is led by Professor Timothy Pett, from the Department of Business. In addition, Professor Laurent Sié, will co-teach with Professor Pett in France. Professor Sié is a Professor of Knowledge Management and Innovation at ESC Pau Business School, the host University for this program. ESC Pau Business School offers a range of further education, higher education and executive programs from Bachelor to Masters Level. ESC Pau Business School collaborates extensively with the region’s major industrial poles of excellence, including Aeronautics, Geosciences, Food Industry, Carbon Fibre, Chemicals, the Horse Industry and the Sports Industry. ESC Pau’s core values are commitment, innovation, and authenticity, and, like Rollins, they aim to create global citizens and responsible leaders. MGT354F - High Performance Organizations (HPO): High Performance Organizations (HPO) are identified with consistently high levels of profitability, productivity, quality, ROI, customer loyalty (retention), and employee loyalty (retention). Using case studies students examine the corporate philosophies, enlightened policies, core competencies, and best practices which characterize HPOs. BUS390F Special Topics in Business - Knowledge Management (4 credit hours): Course deals with significant economic, political, social, and ethical problems facing global businesses. Conducted as a seminar, discussions will be based on current readings, journal articles, and cases. These classes satisfy one major business core course requirement (MGT 354 High Performance Organizations) as well as one elective course, BUS 390. The program also fulfills the Global Experience required for all students in the Business major. Students will receive eight credits upon successful completion of the program. The course will appear on the Rollins transcript as a normal Rollins course with a standard letter grade. Rollins students will be housed in single occupancy rooms in a University Hall of Residence next to the Groupe ESC Pau campus. Each room has a shower, lavatory, stove and a refrigerator for food and drinks. There is a large supermarket and other shops a 5 minute walk from the campus. Two regular bus services operate between the Campus and Pau town center, which is only a 5 minute bus ride away (25 minutes if walking). There are also a number of inexpensive dining options on campus open during the week. The program includes a number of excursions designed to enhance the course content and introduce students to French culture and the Aquitaine region of France. Examples of business visits include the Pau Chamber of Commerce, the Emmaüs Community, and the Chem’Park chemistry cluster. Examples of cultural excursions include visits to Biarritz, San Sebastian (Spain), Bordeaux, and the Pyrenees Mountains. Includes tuition, program administration, housing, orientation program, cultural excursions, business visits, and comprehensive health and emergency insurance. * All dates are tentative and subject to change depending on the final number of students, final costs and other considerations. ** Estimated costs for all programs are based on anticipated numbers of students, current exchange rates and commercial airfares. Costs are subject to change. Final prices will always be communicated to accepted students before they commit to the program.